To celebrate Earth Day, I thought I'd post about one of the greenest writers I know, Bonnie J. Doerr. Bonnie writes tween eco-mysteries where green teens capture poachers and save the environment. Bonnie's most recent release, Stakeout, was a finalist for the Green Earth Book Award. But Bonnie doesn't just write about the endangered animals, she does hands-on research. Here's one example of how involved she gets in her research. In an interview with the Authors for Earth Day blog, Bonnie explained why she writes her books: "My dream is to rekindle that spark of wonder and fascination with wild things by providing fun, fast-paced stories featuring young teens as environmental heroes. I write stories that organically show, rather than tell, young impressionable readers how fragile our environment is. I write especially for ages ten to thirteen. Readers this age are shaping enduring personal goals and values." Bonnie hopes those values include caring for our fragile planet. She's taken time out of her busy schedule to share a bit about her writing life and passion for the environment. Please tell us about your journey as a writer. I began to write poetry first, then short stories. But by the time I drafted my first novel, the die was cast. Each piece of writing had brought me closer and closer to natural settings, to crimes against the environment, and finally to where I am now—writing ecological mystery/adventures. How does Earth Week inspire you? During Earth Week I’m reminded more than ever about why my writing took off in he direction it did. A deep appreciation of nature and the need to be immersed in the outdoors on a regular basis has defined my mental health for as long as I remember. I've been astounded to learn how many people are missing that gene. In recent years my astonishment turned into alarm. This lack of dissociation from nature, I believe, is in many ways at the core of our environmental crisis. Is this disassociation from nature a problem for kids? Watch the wonder and delight on a young child’s face when first observing a nest of eggs hatching, a tadpole growing into a frog, or a bean sprouting and reaching for the sky and you know how much joy children naturally find in nature. It's important to nurture that appreciation. It's sad to see how that spark goes out as young children become teens and tweens. And what about kids who live in the city or whose lives are too busy for this kind of play? And what of adults who are too busy to spend time enjoying nature? Without first having experienced something, how can we come to care for it? It seems tragically understandable that a lack of association with the natural environment leads to ecological abuse, or at the very least, taking our natural environment for granted. So how do you get your message about being green out to kids? I realize not every child can visit a wilderness, or explore a National Refuge, but every child can feel like they have when immersed in my novels. Teens can learn how much fun it is to be outdoors, how sensitive the environment is, and how they can set a good example for the adults in their world. They can virtually join other teens as they work to improve the Earth and save its creatures. It’s one small thing I can do to inspire environmental stewardship. It's great to know that you and other authors are working to make kids aware of how important it is to be green. For more great books to celebrate Earth Week, check out the Mixed-Up Files blog. And, Bonnie, thanks for taking the time to share your passion with us. To learn more about Bonnie J. Doerr, visit her website and her blog BonnieBlogsGreen. Bonnie is also featured on the Girl Scout website, Aurora Reviews (who gave Stakeout a 5-star review), and TBR. From now until the end of the month, Island Sting and Stakeout are both on sale in the Leap Books store for 40% off. And the Island Sting e-book is FREE for Amazon Prime members and only 99 cents for other Amazon shoppers. Watch for the Stakeout e-book coming soon. 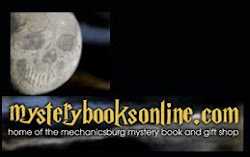 If you leave a comment below from now until April 30, 2012, your name will be entered in drawing for a free e-book or an autographed paperback of Stakeout or Island Sting. The Susquehanna Writers have done it again. Five members of our group are featured in the latest anthology from Sunbury Press. And I also have to note that out of the 25 stories, one-third of them are from the Susquehanna Writers. Pretty impressive statistics, wouldn't you say? And even more fun, the writers are CPs. If you think critique groups aren't worth your time, think again. When we got together 5+ years ago, we were unpublished writers working to improve our craft. Since then, between us, we've had more than 25 books published. This is our first group venture, but here's hoping it won't be the last. And stay tuned for info about a group signing. If you're serious about writing, find some critique partners to share your work with. Beta readers--friends, classmates, relatives--are great for stroking your ego or pointing out dangling plot threads or areas of confusion. But if you're trying to get published, you need other writers who are studying the craft, working on their own work, and are knowledgeable enough to help you move your work to the next level. It's nice if you're all writing in the same genre, but that isn't necessary to be effective partners. You may find you need to explain some of the conventions of your genre to your CPs, but good writing techniques are the same whether you're writing picture books or erotica or anything in between. Our group has reviewed stories and novels from a variety of genres: nonfiction, mystery, romance, thriller, YA, picture book, short story, and paranormal to mention a few. And we all learned a lot in the process. Critique groups are also great because you're all partners in the publishing venture. You not only share advice and techniques, you also share submission tips. And you offer moral support when rejection letters roll in. And each person in the group has different contacts in the publishing world. We also share those. We've introduced each other to new publishers and arranged for crit buddies to speak at conferences or participate in booksignings. That kind of help is invaluable and slowly builds your contact lists. You never know when someone your CP introduces you to might end up as a resource for publishing/editing/speaking gigs. So get out there and search for some like-minded CPS if you don't have any. If you do, be sure to thank them for all they've done to help improve your skills. And for those of you in crit groups where the majority of you are still unpublished, don't give up hope. Keep plugging away. Study, read, learn. Attend conferences. Bring back the materials for your CPs. One day, you, too, will be holding a group booksigning. When I was a fledgling writer, I sat at a conference table with an author who was accepting a major award. She told me that her crit group had been together for ten years. They were all unpublished during first five years. Then one after the other, they each got book deals. Over the next several years, they all made the New York Times bestseller list, sometimes multiple times, and every one of them had won at least one a national book award. I was in awe and said I hoped I could find a group like that. I believe God (or the Universe or a Higher Power) hears when you set an intention like that. A short while later, I ended up in two terrific critique groups. And the members have gone on to get published in many genres. This particular group has reached its fifth year, and we, too, have now all been published. I guess that means those national book awards are next. Can't wait! 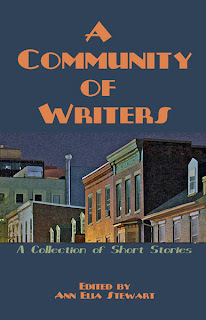 Oh, and if you're interested in getting a copy of A Community of Writers, it's for sale at Sunbury Press and on Amazon. If you love libraries, here's your chance to support the Fredricksen Library. All royalties from the sale of A Community of Writers will go the library. So the best advice I can give unpublished writers seeking publication is write, read, submit, and persevere. But most of all, find a crit group. Work hard and meet regularly. Then someday, you will be doing a group booksigning. 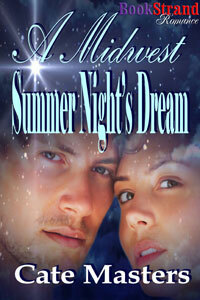 A Midwest Summer Night's Dream is now available from Book Strand. As the title implies, it's a Western historical with a Shakespearean twist. I grew up on shows like Bonanza, The Virginian, The Rifleman, and one of my favorites, The Lone Ranger (looking forward to Johnny Depp as Tonto in the new movie version!). Heroes who withstood harsh conditions with stoic grace. A few years ago, I read about a mountain man named Jim Bridger who, though illiterate, recited passages of Shakespeare in mining camps and Indian camps alike. It captured my imagination, and so I began this story. It took a few years, but I finally finished! So if you'll excuse me, I'm off to do the release day happy dance. :) You're welcome to join in! Poetry was my first literary love, I have to admit. Some people seem to think that poetry's only for the high-minded, those who only read literary fiction. But really, poems are just another means of expressing your innermost thoughts. In grade school, my friends and I wrote poems, shared poems, and collaborated on poems. Yes, most of it was laughable, but at the time, it provided a deep connection between us. More than that, it became the basis for a lifelong love of writing, for me. Playing with words and ideas, putting them together with their own particular cadence and rhythm, was a creative breakthrough. Not surprisingly, we were all also crazy about music. I used to pore over song lyrics, much of which was poetry in its own right. If you doubt the power of poetry, watch Maya Angelou recite Still I Rise. It will change not only your mind, but it will change you. 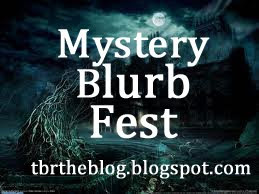 I've held several blurb fests so far at TBR, all with great success. I hope you'll join in!